Matthew McMullin, 24, Dies After Being Struck By Pickup Truck On I-95 In West Palm Beach | Schuler, Halvorson, Weisser, Zoeller & Overbeck P.A. 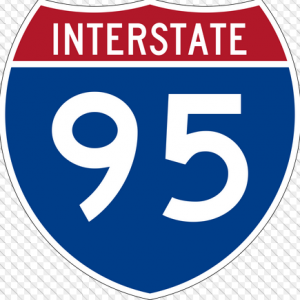 One person is dead after a pickup truck struck him in the roadway on Interstate 95 in West Palm Beach, according to the Florida Highway Patrol. The accident happened just south of the Palm Beach Lakes Boulevard exit and the victim has been identified by the authorities as Matthew McMullin, a 24-year-old man from Jupiter. He was knocked down by a vehicle when he briefly got down from his car to retrieve some fallen items. McMullin was driving southbound on I-95 when he lost some of the load he was transporting. Then the items spilled into the road. He then pulled over on the left shoulder and got out of his car to try to retrieve an item. This was just south of the Palm Beach Lakes Boulevard exit. A man driving southbound in a Ram pickup truck then struck McMullin, killing him. The driver who hit McMullin was not injured, Lt. Alvaro A. Feola said. First emergency responders arrived shortly after the accident happened. McMullin was pronounced dead on the accident scene. He died as a result of the fatal injuries sustained in the crash, Feola said. The identity of the driver who hit McMullin is yet to be released. Homicide investigators are currently investigating the accident. No further information is available at this time. West Palm Beach personal injury attorney Jason Weisser of Schuler, Halvorson, Weisser, Zoeller and Overbeck responded to this unfortunate crash: “This is a tragic accident and demonstrates why it is so important to properly secure your load when transporting it and also to be very diligent as a driver to all the conditions around you. We hope that all parties involved consult with an experienced trial lawyer. If you have been injured in an accident, call my office for a free consultation to find out what are your rights”.